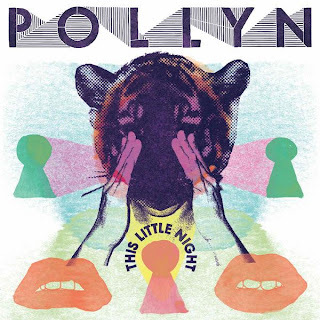 Yesterday I awoke to a great album in my inbox by Los Angeles electronic trio Pollyn. They just released their debut album 'This Little Night' and it's quite good! They compare their sound to Sade meets Hot Chip. I can also hear influences by Everything but the Girl, Massive Attack & Portishead. The first track on the album 'Gave It Up' is my early favorite. It reminds me a bit of New Young Pony Club's 'The Get Go'. Even has a similar beat and tempo. Very smooth and delicious. If you like this track I recommend you pick up the album. It's available on Itunes, Amazon & Emusic. yeah they are really cool. i suggest you to listen a song named Adeus of this band. it was also a soundtrack of a movie named Girl's Life or smt like that. I recently saw them live. There live band is ridiculously talented and fun to watch. Definitely check them out.